The U.S. Air Force's Space Based Infrared System Geosynchronous Earth Orbit Flight-4 (SBIRS GEO-4) satellite has completed encapsulation at Cape Canaveral Air Force Station, Florida. With one half of a payload fairing in place, technicians move the remaining half of the protective shroud to completely encapsulate the Air Force's Space Based Infrared System Geosynchronous Earth Orbit Flight-4 (SBIRS GEO-4) satellite at Cape Canavera (Photo is courtesy Lockheed Martin Space Systems, Colorado. 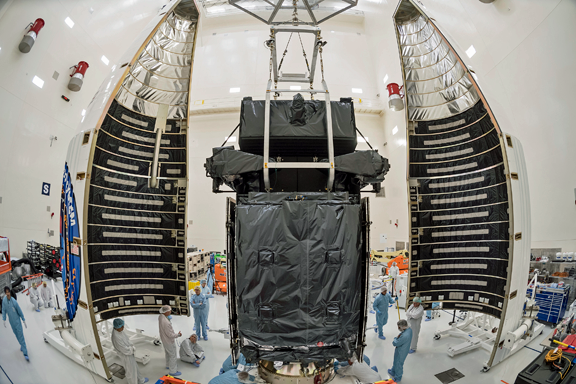 This encapsulation event is a significant milestone in GEO Flight-4's launch process as the event marks the satellite's completion of all major testing milestones prior to launch. On January 10, GEO Flight-4 will make the journey to Space Launch Complex-41, where it will be mated with its Atlas V-411 rocket, with the launch scheduled for January 18, 2018, at 7:52 p.m., Eastern (4:52 p.m. Pacific). The Space and Missile Systems Center (SMC), located at Los Angeles Air Force Base in El Segundo, California, is the U.S. Air Force's center for acquiring and developing military space systems. 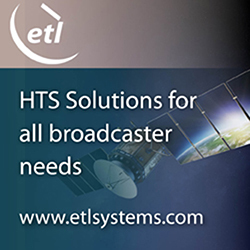 Its portfolio includes GPS, military satellite communications, defense meteorological satellites, space launch and range systems, satellite control networks, space-based infrared systems and space situational awareness capabilities.